Earlier this week the owners of the seven horses came back. They had been away on a working trip for about four weeks. While they were gone, the horses were penned up in a tiny space on crown land next to The Bailey Bridge. The situation had become a community concern and several people put in a lot of work to make sure the animals were fed and watered. It’s one of those strange Coalmont Stories. Shortly after returning, the couple left town again but the circumstances are less clear this time. According to reports, the horses were taken away in a trailer. All that remains is a well trampled patch and the posts from the electric fence. We can take it for granted that there is also a lot of horse manure and an old travel trailer. Effective immediately, there is a campfire ban within the Tulameen & District Fire Protection Area. UPDATE: Effective at noon on Friday, July 3, 2015, all open fires – including campfires – will be prohibited throughout the entire Kamloops Fire Centre. This prohibition will remain in place until the public is otherwise notified. The current British Columbia heat wave is even more impressive here. Yesterday we got up to 38°C – possibly more. The last time it was this hot around here was in 1996, and that was “only” 34 degrees. There were records broken in several other areas. At 41.1°C Lytton takes the prize as usual. Perhaps because it is still early in the summer, there are fewer restrictions on fires than one might expect. Specifically, forest use is unrestricted and campfires are permitted, but burning of waste is prohibited as is grass burning and anything more than a small well controlled fire. For ban and restriction details, see the Open Fire Bans in Kamloops Fire Centre page. Joe Lucas was born in London on October 8, 1930. He was a true Cockney because he was born within hearing distance of the Church bells of St. Mary Le Bow. He has a sister and two brothers (plus one deceased). Joe lied about his age to get in the Merchant Marine at the tail end of WWII. The first ship he was on was a tanker. He was in the British Merchant Navy for 10 years. While in London, Joe was a butcher in Brixton, England. He made sausage and cut meat. Joe sailed with his brother, Jack, from Liverpool to New York on the Saxonia. When they arrived in New York they had planned to fly to Vancouver, however there had been a huge snowfall. They were stranded in New York for three days and then took a bus to Chicago and another bus to Vancouver. Joe continued his trade as a butcher in Vancouver and worked for Kelly Douglas & Co. of the Super Valu chain. From there he went to work for H.Y. Louie Co. of the IGA chain and opened their new store in North Vancouver. Wishing to work for himself, Joe ventured into the cabaret business and owned the El Mocambo Dine and Dance in Burnaby. He was partnered with his wife’s brother. His first wife, Myrna, was a singer in the club. It was the first licensed cabaret in Vancouver that didn’t have a restaurant license. This was in the late 1960’s or early 1970’s. Eventually Joe and Marilyn left this business and worked for a customs broker in Vancouver. When Joe and Marilyn decided to retire, they planned on moving to Princeton. They put down a deposit on a house, but it turned out an offer had already been accepted on the property. The Lucas’ decided to move to Coalmont and purchased a building that was about 3 years old. It had not been finished and the lower half of the house was originally built to be a Firehall in Coalmont. This never happened so the Lucas’ purchased it and made it their home. At first they owned three lots and then expanded it by two more lots to include what Joe owns today. The property was eventually amalgamated into one large lot on the corner of Columbia St. and Bettes Ave. Their plan was to live in Coalmont in the summer and Arizona in the winter. Unfortunately on April 2, 2001 while coming home from Arizona, Joe’s wife passed away in Nevada. 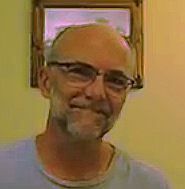 Joe has lived in Coalmont for about 25 years and has one son, Mike, who is a professional drag racer in Fort St. John. Joe has travelled the world throughout his exciting life and will be missed when he moves to Penticton sometime in July. Survived by her much loved partner Todd Lester, her mother Margaret Tissuer (Ron) and brother Trevor Lutz (Laura) and her extended Tisseur and Lester families. Predeceased by her father Daniel Lutz in 1996. Todd has a little house on Columbia and Heather first came here seven years ago. She initially enjoyed walking, rollerblading and bicycling around town, until the disease made it too uncomfortable to do so. 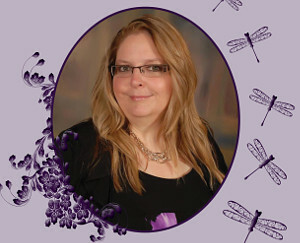 Heather is deeply missed by her family, as well as extended family members, friends, and collegues who loved her. There will be a Celebration of Life: Sunday, July5, 2015 at 1pm Sullivan Hall at 6306-152 St., Surrey, BC. The first edition of the original Coalmont Courier was printed with ink on wrapping paper. The New Coalmont Courier is printed with ones and zeros right on your screen. It’s a lot less messy, and also easier to reformat. There are horses in Coalmont again. This little equine family, which includes a new baby, was looking for a place to stay and has temporarily settled next to Nick’s Gold Pan Inn down by the river. The owners are actively looking for a permanent place. Although the horses are well looked after and happy for the moment, they will need more suitable lodging before the winter – ideally much sooner. Please contact the Courier if you can help. Coalmont used to have lots of horses when the town was first established. There were two liveries on Front Street which were built right at the beginning. One is still there. The Colliers had their stable in upper town and were transporting coal by wagon in the summer and sled in the winter. A few years back regulations were enacted which disallow the keeping of farm animals in most areas. In fact land use zoning and other by-laws do not actually permit quite a few of the freedoms which Colmontians enjoy. We all want laws to apply to others while we prefer our own exception. That’s human nature. Now we have some horses here again. Hopefully they will be welcome for a little while. Horses represent an important and colourful piece of our history and this could be seen as an opportunity to engage in a little nostalgia – and perhaps also a little tolerance. It looks like Fortis installed the first smart meter concentrator here yesterday. 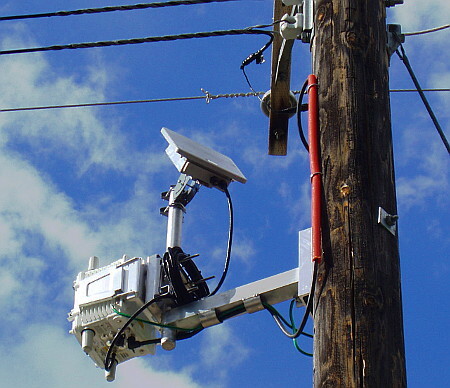 Advanced metering infrastructure (AMI) requires a medium to provide continuous point-to-point communication connectivity. Your smart meter (to be installed next week) needs to connect to an aggregation node and have a data uplink to the AMI Control center. Typically, a local AMI system includes smart meters and data concentrators. Also, each smart meter can serve as a hub or repeater for other smart meter communication with data concentrators. The old Princeton Overwaitea building has been demolished. They started the Friday before Mother’s day and they took pains to save the big beams and stack them carefully to the side. Who knows how far those will survive into the future and what new history they will embody. Overwaitea has been in Princeton since the thirties. The first store was on the corner where the drugstore now is, and it was there all through WWII. The second store was on Vermilion about where the museum is now, and that location lasted until the big new store was built on Bridge Street. Edith Rice saw the construction of that building and she remembers some of the people who used to serve her there. Maria Sadegur worked in the new store. And Judy Robinson worked in the Vermilion store and was an employee until she retired. But it was seeing those big timbers that really brought back memories. 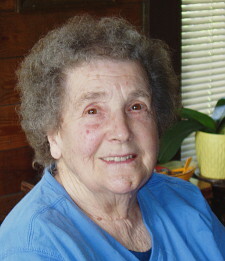 Edith lived at the Roany Creek Ranch with her husband Eugene Rice where they operated the E.C. Rice Logging and Sawmilling Company. Eugene passed away in 1999, but Edith is still there and the mill, under the same name, is now operated by their son Ernie Rice. The original mill was built by Eugene in 1952. Edith says “it was more of a tie mill”, meaning for cutting railway ties. In 1965 Eugene rebuilt the mill to a larger version. He did a lot of the work himself, like the panograph, live rollers and carriage, but the log turner was built in Penticton. Custom sawing became his specialty, and that’s what Ernie still does there. It was in 1968 before the snow when they got an order from the contractor for those huge beams that went into the Overwaitea building. The beams were 32 feet in length, the longest they could cut. Nobody else in the area could handle lumber that size. Edith remembers taking the invoice to the building site and they had already put the timbers in place. “This would have been fir, pine is not strong enough. The inspectors wouldn’t have passed it otherwise.” It is interesting to note that trees big enough to produce timbers that size would have started growing in the century before Canada’s confederation.